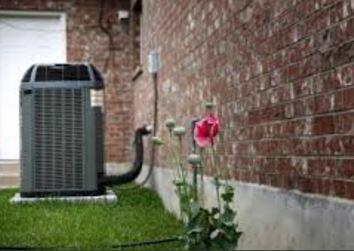 The comfort and enjoyment in your home is often determined by the performance of your residential heating & A/C system. The quality of the heating equipment and quality of the install will play a roll in your comfort, safety,and even health. If you are thinking about a new furnace or possibly upgrading an outdated furnace, it is going to be a big decission. The first thing you want to do is gather enough information so you can make a sound decision in finding your ultimate solution. At Competition HVAC, we will answer all your questions and concerns and guide you to the decision that is correct for you. We can customize your system, and the finished system will be tailored to fit your unique requirements. This approach lends itself to better comfort as you will have,consistent temperature control. Impecibale attention to details & skilled technicians will result in a complete system that runs at maximum efficiency thereby reducing operating costs and system longevity. More information on Central Heating and Air Conditioning can be found here. At Competition HVAC we are experts in improving the quality of your summer comfort. With a sound selection of quality products, sized to match your precise requirements we help you invest in a long-term plan that will protect your enjoyment, health, budget, and home safety. We will guide you through the choices and services that will bring you total satisfaction year after year. A tailored sytem will provide your household demand for consistent temperature noise level, and efficiency. It is our goal to assure that every detail is handled professionally. You will benefit from a reliable system that is designed to lower your monthly costs, and provide greater comfort. When you Contact Competition HVAC Inc for air conditioning installation, and we’ll make sure you’re completely happy with the results. Competiton HVAC services the lower Mainland including Vancouver BC, North Vancouver, Coquitlam, Port Coqutlam, Surrey and the Greater Vancouver Area.